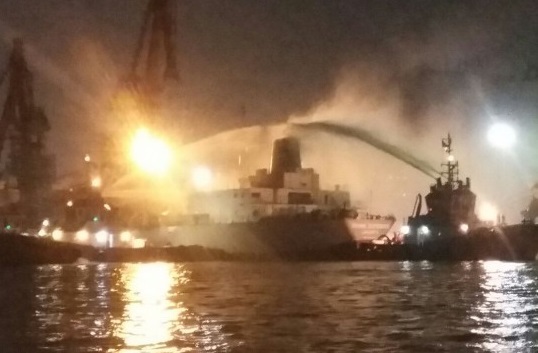 A cement carrier MV Divine Success caught fire at around 18:10 pm local time at the Port of Tanjung Priok, North Jakarta on Friday, September 16, 2016. 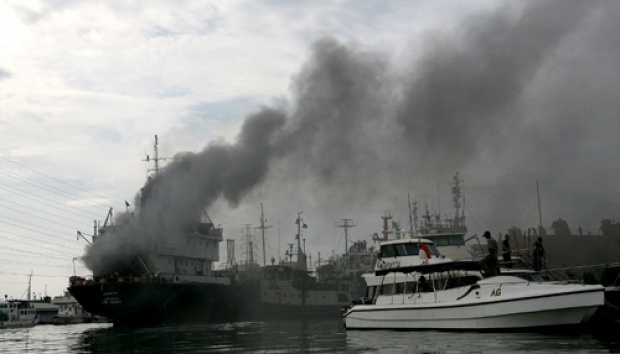 According to reports, the fire started during the cargo unloading from the ship’s engine room. The cargo ship suffered a blackout. Three tugs and five city fire engines were dispatched to the incident site by the local authorities In several hours the fire was under control. There are no reports for injuries. Divine Success is a 21,780-dwt cement carrier, built in 1972, sailing under the flag of Indonesia. The ship is owned and managed by Indobaruna Bulk Transport.